From #1 international bestselling author Ami McKay comes The Virgin Cure, the story of a young girl abandoned and forced to fend for herself in the poverty and treachery of post-Civil War New York City. 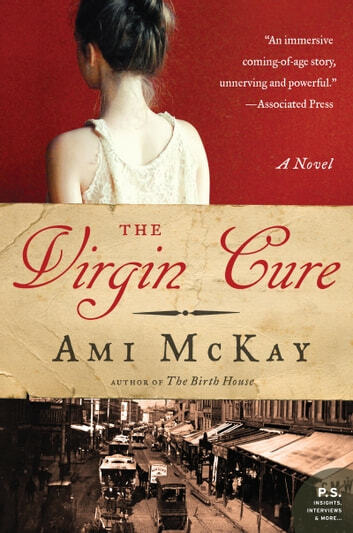 McKay, whose debut novel The Birth House made headlines around the world, returns with a resonant tale inspired by her own great-great-grandmother’s experiences as a pioneer of women’s medicine in nineteenth-century New York. In a powerful novel that recalls the evocative fiction Anita Shreve, Annie Proulx, and Joanne Harris, Ami McKay brings to light the story of early, forward-thinking social warriors, creating a narrative that readers will find inspiring, poignant, adventure-filled, and utterly unforgettable. Sizin için ne yararlı olur? Great reading. Clear and heart wrenching story. Loved it, didn't want it to end. A good enough book that ended to soon ! Loved the story. Great development of characters. I even read the author notes. At times this book was a real page turner for me. It shows how little opportunities there were for girls back in 1871. The ending was happy though and I'm glad for that. I recommend this book as its a fun read.